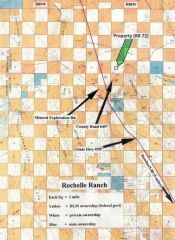 Description: 40-acre tracts for $17,960 ($449/acre) with $560 down and the balance of $17,400 payable at $174 per month (amortized over 186 months including 9% interest with no prepayment penalties) are very difficult to find anywhere in the United States of America today. There are no credit checks and everyone is guaranteed easy seller financing. When these few remaining parcels are gone you will never see such low prices again. Just buying low priced acreage under spectacular purchase terms and having the patience to wait for a few years isn’t the worst plan in the world! Access/Roads: Access easements have been recorded but an actual road may or may not exist. 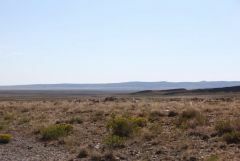 Mineral Rights: As in most oil producing states the mineral rights have been owned by exploration companies for many years but the landowner would receive some form of compensation if a well was ever drilled. Survey: Only the full section that contains this 40-acre tract has been surveyed. Improvements: This is raw, undeveloped land and no improvements or homeowner services of any nature are being represented. 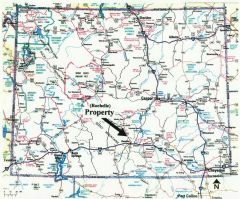 Property Usage/Zoning: The property is currently zoned for what would be considered “agricultural” purposes and if additional uses are anticipated a potential buyer should contact the Carbon County Planning & Zoning Department at (307) 328-2651. Directions: From Rawlins, Wyoming drive north on Hwy 287 approximately 15-miles to Mineral Exploration Road (located on the left or west side of the highway) and County Road 497 (located on the right or east side of the highway); from this point refer to the parcel map with an arrow pointing to the exact location of the parcel (remember that each square represents 1 square mile). ® 2009 CheapLandInAmerica.com, All rights reserved.